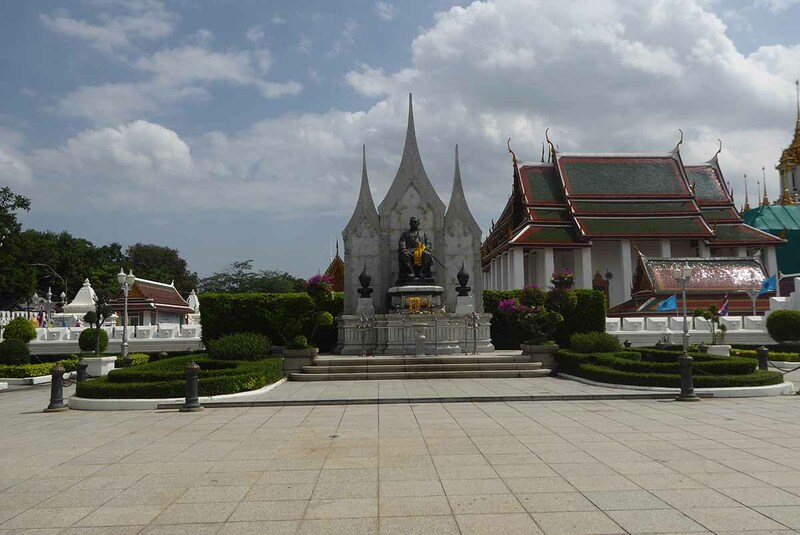 There are many famous landmarks in Bangkok, including the Baiyoke Tower, the Giant Swing, & Democracy & Victory Monuments There are also many old forts, Statues & monuments to past king’s & events. 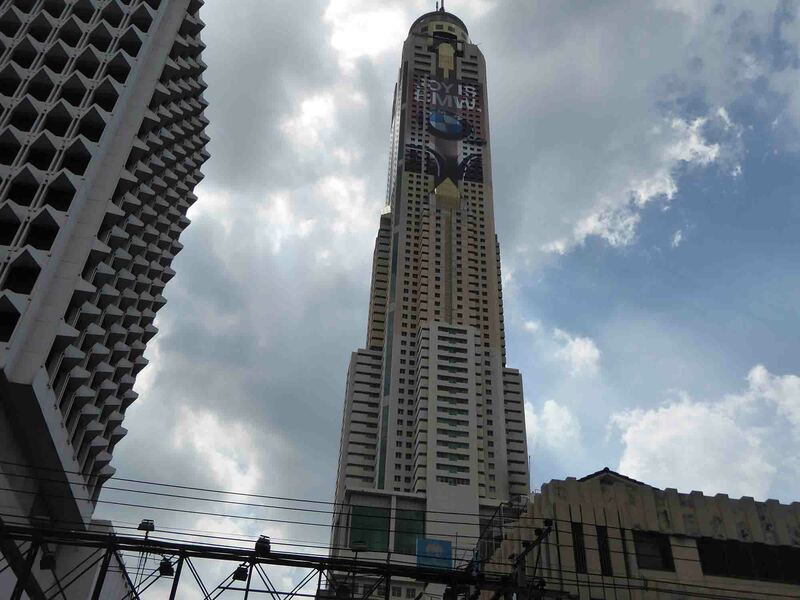 The Baiyoke Tower is one of Bangkok’s most famous landmarks, visible all over the city. It’s the tallest hotel and second tallest skyscraper in Bangkok after the new Mahanakon building. It is the tallest hotel in South East Asia and the seventh tallest hotel in the world. The 84th-floor observation deck offers a fantastic 360-degree view of the city. The Royal Pavilion Mahajetsadabadin, built in 1989 as a structure for the king to welcome dignitaries and royal visitors. 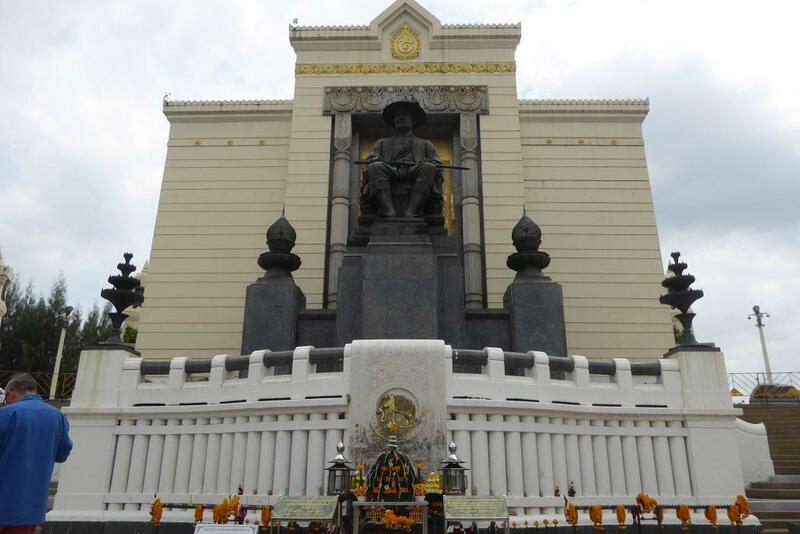 It is in a small park-like setting along Ratchadamnoen Avenue, the main boulevard used for royal processions. 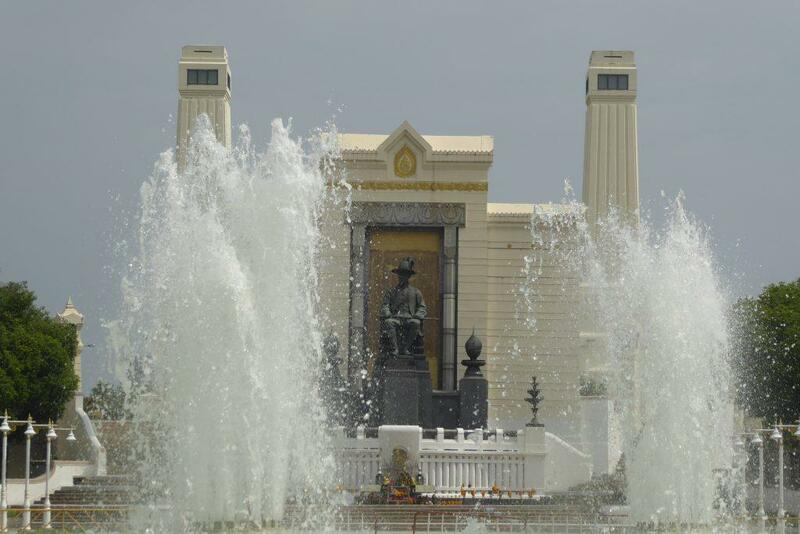 The grounds include a monument to King Rama III. 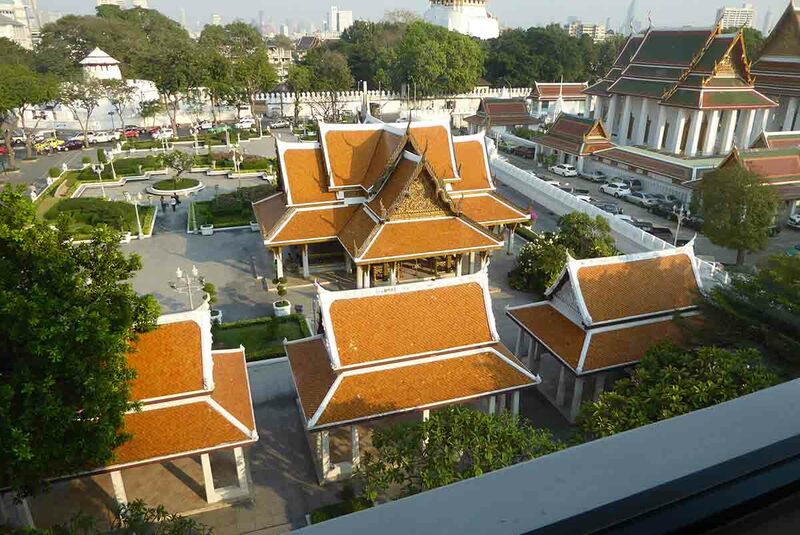 Wat Ratchanatdaram and Loha Prasat are just behind. 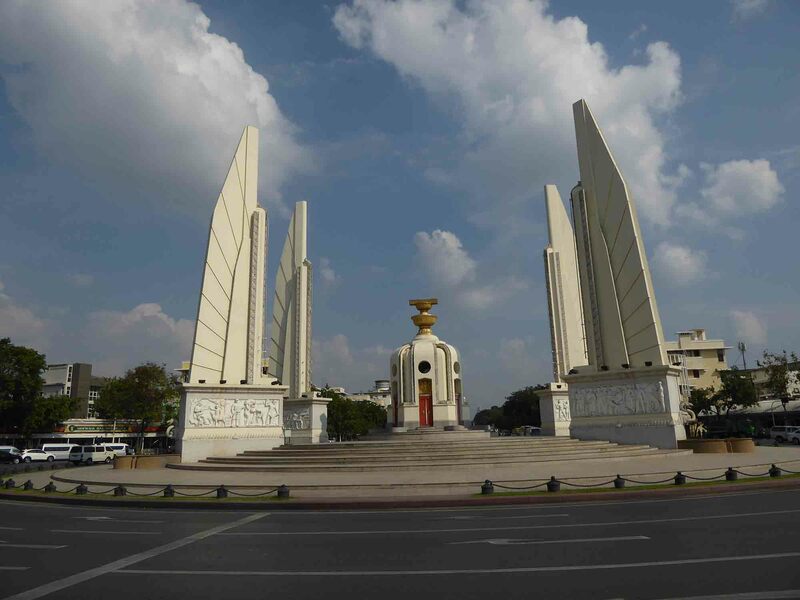 The Democracy Monument is on a traffic circle on Ratchadamnoen Klang Road in the Rattanakosin district of Bangkok. The monument, built in 1940 commemorates the 1932 revolution which resulted in Thailand becoming a constitutional monarchy. A copy of the original constitution is held inside the central pedestal. The design was by the Italian Corado Feroci who later gained Thai citizenship and changed his name to Silpa Bhirasi. 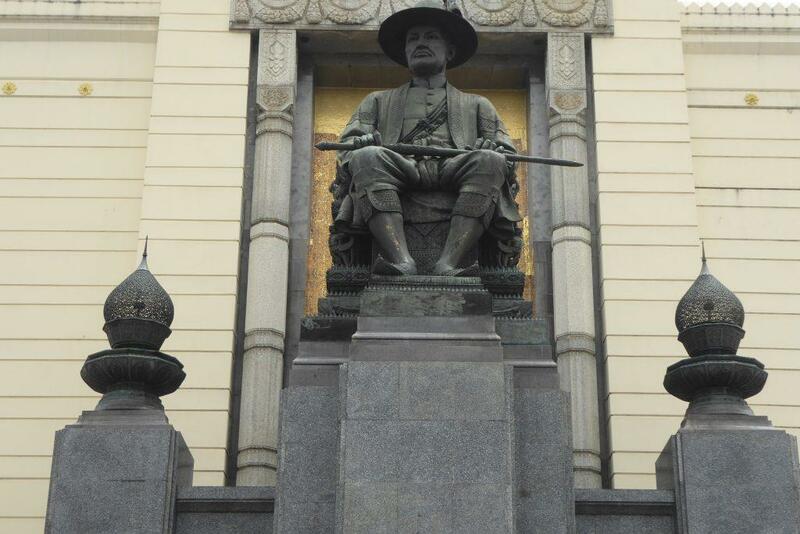 He also designed the Victory Monument. The monument has since become a rallying point when there are political protests. 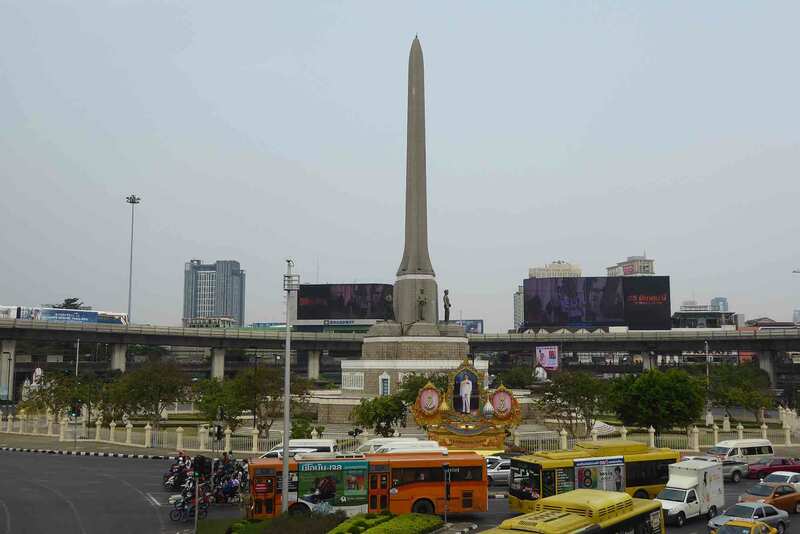 The Victory Monument is a large military monument at the center of a traffic circle at the junction of Phahonyothin, Ratchathewi, and Phaya Thai roads. 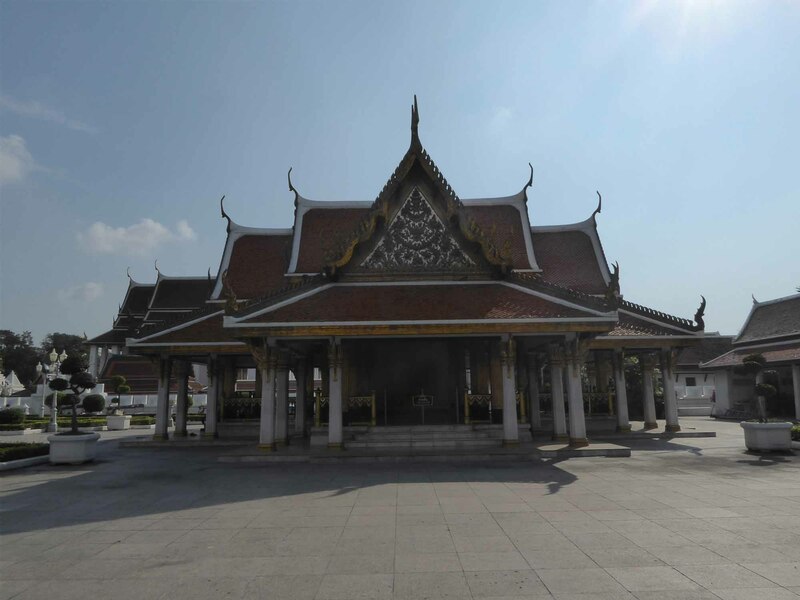 It is one of Bangkok’s most familiar landmarks. The monument commemorates the army, navy, air force, police, and militia and their victory in the Franco-Thai war of late 1940 to early 1941. Built in 1941, it was designed by the famous Italian architect Corado Feroci who had earlier designed the Democracy Monument. Feroci later gained Thai citizenship and changed his name to Silpa Bhirasi. A BTS Sky train station of the same name is nearby on Phaya Thai road. If you want to view the monument close up, you will have to cross the busy road. 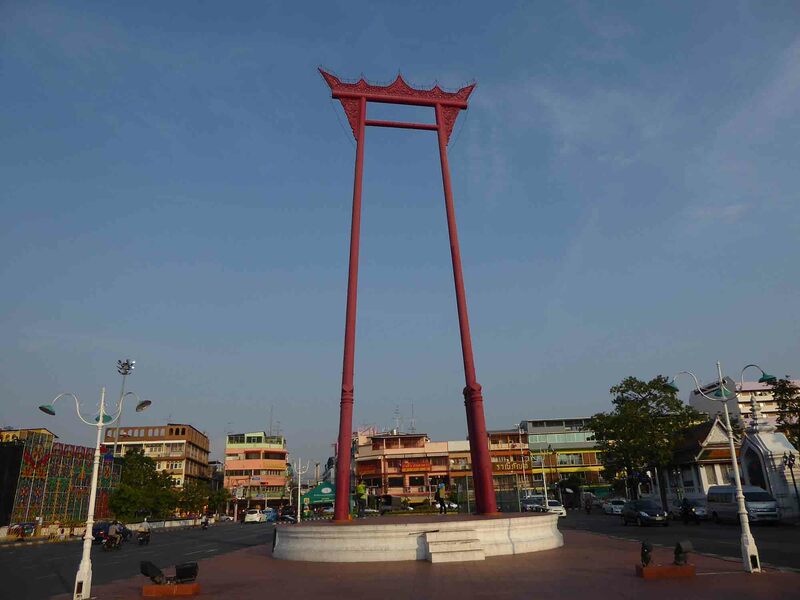 Located opposite the Wat Suthat temple entrance is the 21.15-meter Giant Swing is one of the most famous landmarks in Bangkok. It was originally built in 1784 and was replaced with a new one in 2004. The swing is made of Golden teak wood. The swing was originally used in an annual ceremony where teams of young men would try to swing high enough to retrieve a sack of gold tied to a pole about 25 meters high in the air. The ceremony was abolished in 1932, as many people suffered injury or died. 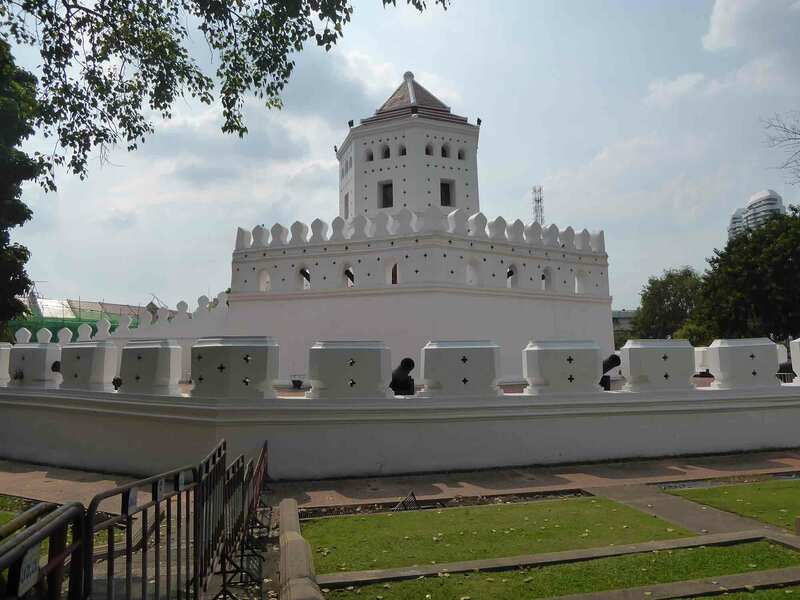 Phra Sumen Fort, on Phra Sumen road on the grounds of the riverside Santi Chaiprakan Park in the Banglamphu area near to Khaosan road. 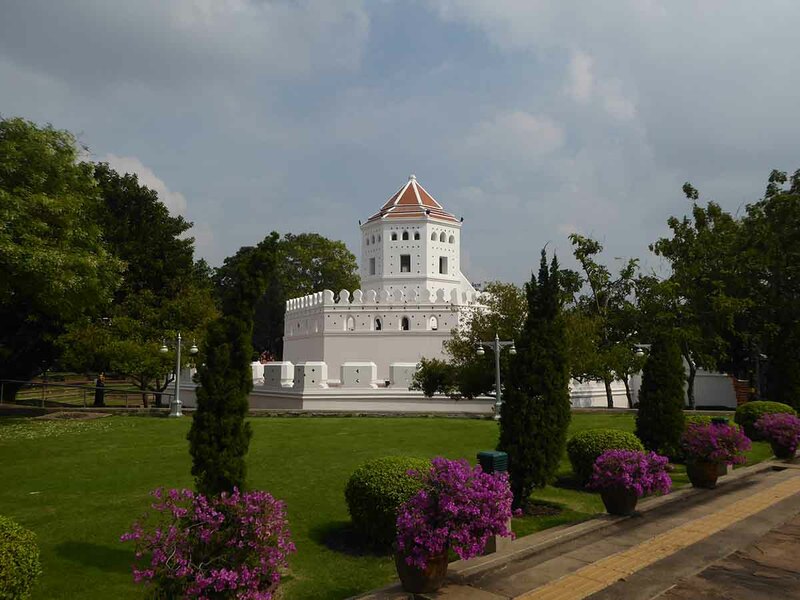 Built-in 1783 by King Rama I, it was one of 14 forts that defended Bangkok from a river attack. It is now one of two that remain. The fort is colorfully lit up at night. Unfortunately, the fort is not open to the public but the surrounding park is a pleasant place to relax and take in views of the fort and the river. Location: At the corner of Phra Arthit and Phra Sumen Rds. King Rama I was the founder of the Chakri dynasty of Thai kings and established the city of Bangkok as the capital of Thailand (Siam) in 1782, marking the commencement of the Rattanakosin era. The monument is at the old city end of Memorial Bridge on a plaza featuring fountains and flower gardens between roads leading to the Bridge. The statue shows the king seated on the throne. It was designed by Prince Naris, and made by Italian artist Carlo Feroci in 1932. It took three years to complete and is made of bronze. The statue is a short walk from Yodpiman River Mall, Wat Ratchaburana, and Talat Pak Khlong Flower Market with Wat Prayoon just across the bridge. Location: Prachathipok Road, Wang Burapha, Bangkok. Getting There: Chao Phraya Express Boat to Memorial Bridge pier.